While I still have a hankering to sew florals and summery dresses (thanks to all of you in the Northern Hemisphere) there are a few winter essentials that are calling my name at the moment. Since we'll be moving back to NZ in a few months, and it will be very much colder than our Sydney winter, I need to put my summer-dress dreams on the back burner and concentrate on more practical (but no less pretty) garments. I haven't made many shirts in my life, but this one seems like a pretty, sweet and easy 'first shirt' pattern. The buttons I'm going to use are clear vintage glass buttons that I saved from another vintage short sleeved shirt that, sadly, was not wearable any more. Every time I thought about getting rid of the shirt, the buttons caught my eye and I couldn't do it. I'm so glad I saved them. They are so pretty and sparkly in the light. In both green wool and black pinwhale cord. I've finally got the muslin fitting right (after 3 attempts!). So these pants should be ready soon (in fact, the green pair nearly are!!). But my goodness, that post will be a loooong one. Warning - that pattern, made up with no changes, looks nothing like the pattern cover! Just sayin'. This knit fabric is part wool and has some amazing stretch-y qualities. 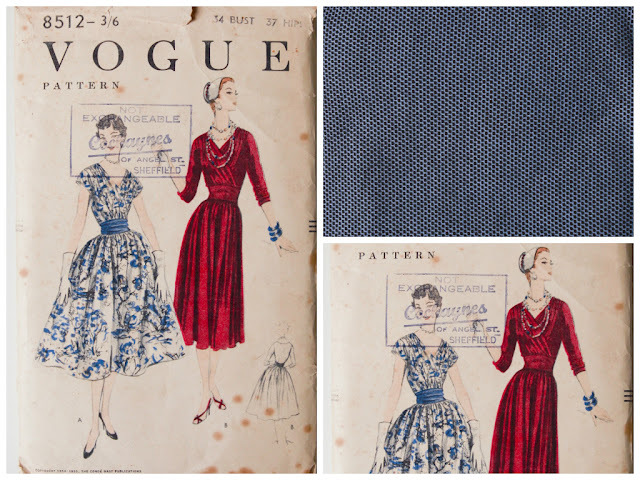 After my 40's knit dress, I am ready to tackle more knits! Isn't this fabric just the most loveliest wool you've ever seen? And it's so gosh darn soft! Oh, and warm. Oh and did I mention soft??? Well, I needed at least one pretty summery floral dress right? Because isn't this pattern just the most gorgeous 40's dress you've ever seen? All drape-y and gather-y and lovely. If ever I was in love with a pattern, it's this one. 20 comments on "Winter-time Sewing..."
That's a great to do list! I love them all! Ooh that's a good list. I really like the blouse - especially because it has no collar and I can never get those right on shirts. And those trousers as very smart. Very Katherine Hepburn! I live in Sydney as well - Pitty you are leaving this fair city but Im sure New Zealand will be happy to have you back! Loving all the '40s patterns going on your list. I'm still bummed about the pants pattern. That's going to really make me not want to make it. Ooh I love your choices of fabric AND pattern...very jealous! 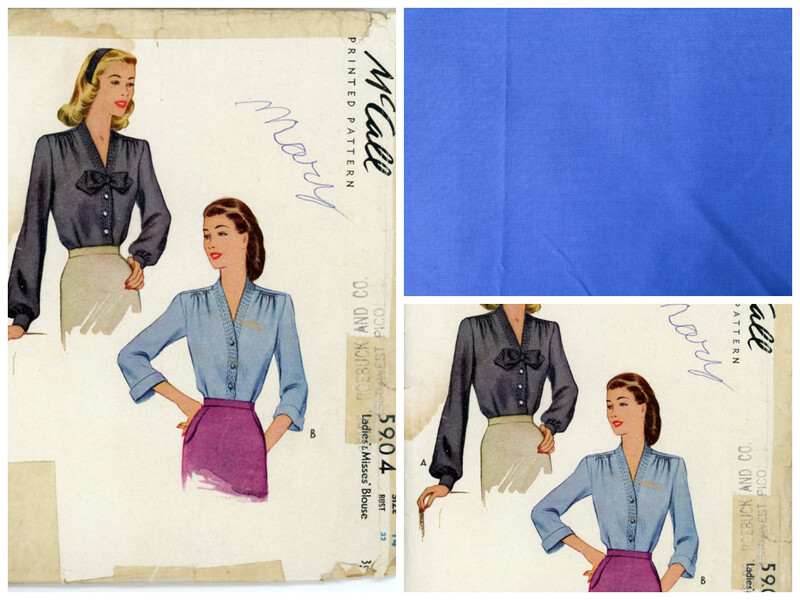 Such lovely sewing plans to daydream about and also action! That 40s dress is indeed divine!!! What a fun list! I love your vintage wardrobe and I can't wait to see these made up! I love that shirt pattern! I need to make myself some tops. That was my biggest downfall in me made may. I've been craving summer sewing too though. All those American blogs have me yearning for spring! Much as summer is quite literally starting here today, my mind is presently more focused on cold weather pieces, too. I'm hunting for a new vintage suit or two (and or blazer or two) this summer, before the icy weather kicks in again come autumn. Suits can be tricky for me (they rarely seem to fit my short curvy body well - though good tailoring can certainly help there), but they're not impossible (yay! ), so this is a hunt I'll be immersed in throughout the coming toasty months. Love the timelessly pretty patterns you've selected here, dear gal. Have a blast sewing these wonderful garments. You have such great plans! I'm especially excited about the blouse and the knit dress. Good luck! You'll certainly need the warm clothes here! What a great selection. Loving the vintage Kate Middleton Vogue. That shirt pattern is fab. Can't wait to see it made up. Can't wait to see the trousers too. Gorgeous pattern choices! Where do you get most of your patterns from? I adore your choices! 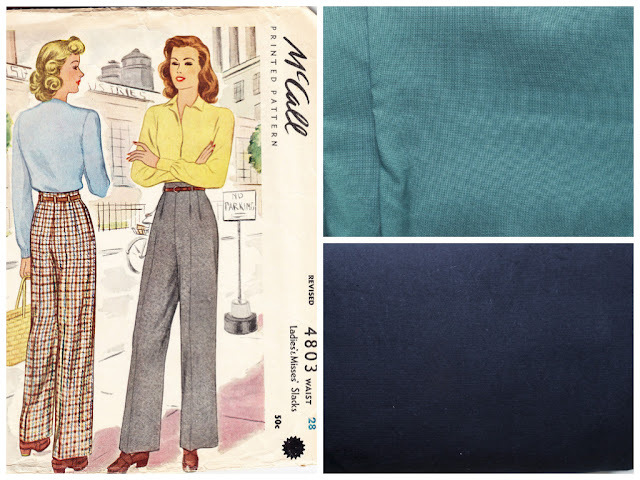 I've just made my pencil skirt (must take it off & blog it), pants are sitting there waiting for my sewing mojo and I'm holding off on shirts/dress until spring (the fabric & patterns for all are just sitting there saying 'pick me, pick me next') - A gorgeous selection! 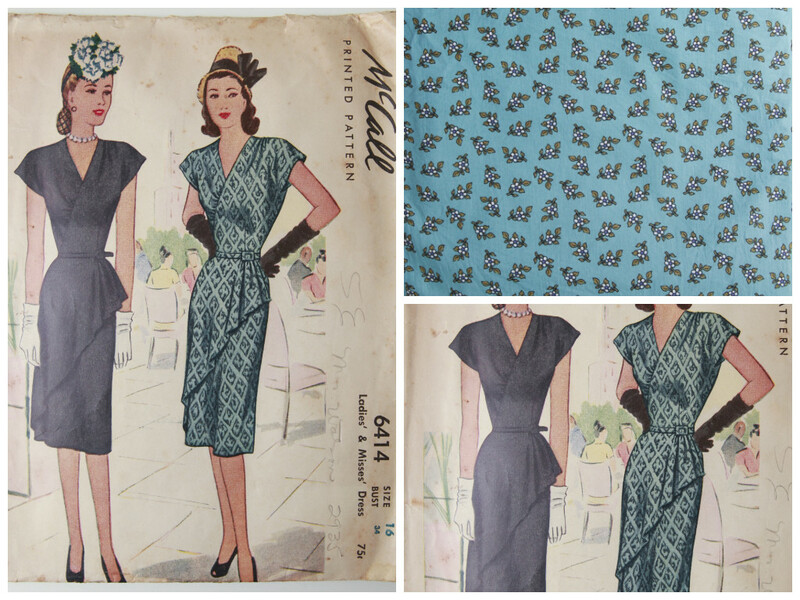 You are giving me serious vintage pattern envy! I want to rush out to every op shop in the area and see what I can find. Well done on those pants! 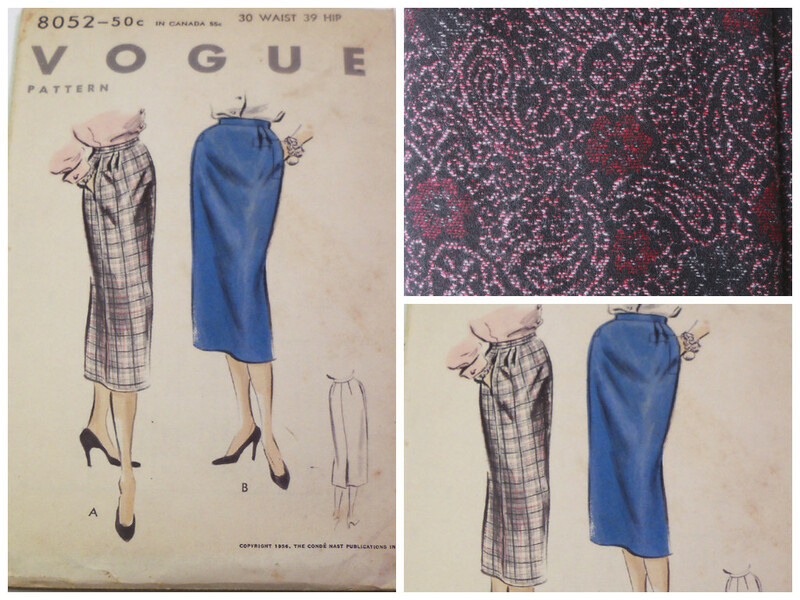 I'm also aspiring to the Katherine Hepburn look, so I picked up the less vintage Vogue V8836. I'm a little trepidacious . I always find that the crotch in patterns sits too far back, compared to bought pants; so I've taken to tracing the line off a favourite pair. But there must be a better way!